Designed in 1999 by a Mother, Baba Slings® is the ultimate baby sling and an incredibly versatile baby carrier. Baba Slings® help make your journey as a parent of a young child a smooth ride. Babies who are carried frequently by Mum or Dad are more calm and relaxed. Keeping them close as they learn about the world gives them the support they need, and the sense of security, which is essential to their wellbeing and healthy development. Above all, holding your baby close is a most natural and wonderful thing, that makes all the challenges of parenting totally worth it. That's why helping you keep them close is our most important mission. The focus of our unique design is simplicity and flexibility. Baba Slings® will allow you to carry in 5 different positions. Our slings are great for breastfeeding while on the go. They are effortless to put on and take off, fully adjustable - one size fits all, adaptable to yours and baby's needs, and super durable. 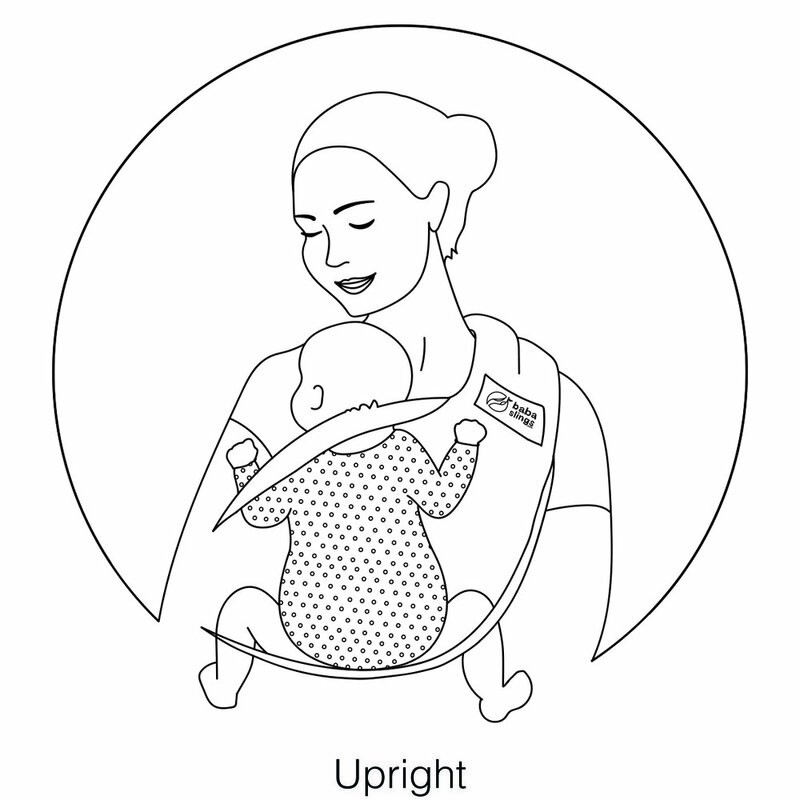 Changing shoulders and positions ensures both you and baby stay comfortable throughout the day, and assists with healthy development of their hips and spine. Head to our shop to get your own Baba Sling. Pick from our wide variety of colours and designer prints to suit your style. Standard Baba Slings® - single colour classic slings. Simply pick your favourite colour to carry in comfort and style! Two-Tone Baba Slings® - for those who love simplicity and enjoy that extra splash of colour. Simply perfect for you and your Bub! Boutique Baba Slings® - unique prints for cool Mamas and Papas. Stay close with our beautiful Batik Baba Slings®! Hand Tie-Dyed Baba Slings® - NEW!